Description: Wide shot of historic buildings in downtown Silver City New Mexico. Static view right down the center of an empty street in a small town. 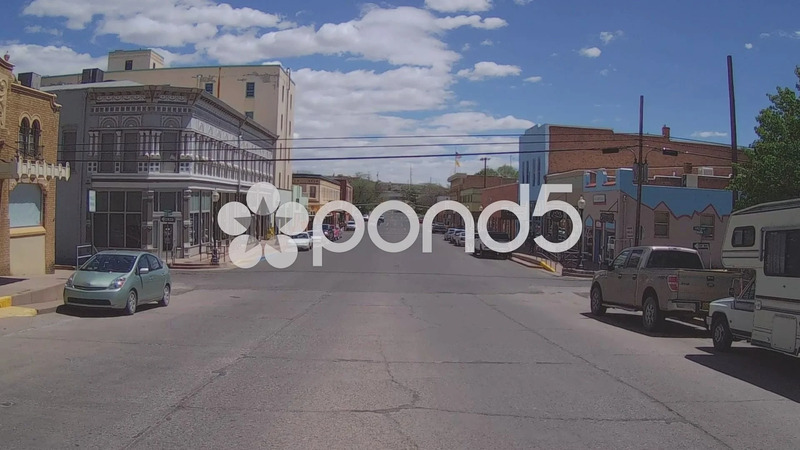 Part of a series of clips by ChromaVid featuring small town and city stock video.